Draft: 2010, Pittsburgh Pirates, 25th rd. Selected by the Pirates in the 25th round of the 2010 June Draft out of Western Oklahoma State College. Made 2 apps over two stints with the Pirates (July 23-24, Aug 5-10)…did not pitch in his first stint, and his outing on Aug 9 at SF marked his first in the majors in 1,214 days-since April 12, 2015 at MIL…yielded 3 runs, all unearned, in 1 IP in his first app and 4 R/ER in 3.1 IP the next night… was optioned to Triple-A Indianapolis on Aug 11 and designated for assignment on Aug 16; was outrighted to the minors to remain in the Pirates organization…made 3 starts for the Tigres del Licey in the Dominican Winter League. Went 5-4 with a 4.00 ERA (78.2ip/35er) in 26 total appearances (seven starts) between Bradenton, Altoona and Indianapolis after missing all of 2016 due to "Tommy John" surgery...Attended spring training with the Pirates as a non-roster invitee...Tossed 1.0 scoreless inning of relief in season debut on 5/15 with Bradenton; his first appearance in a game since 6/21/15 while pitching with Indianapolis...Earned each of his two wins with Bradenton in back-to-back outings on 5/18 and 5/21...Was assigned to Indianapolis on 6/5 and struck out each of the three batters he faced in first appearance with the Indians on 6/6... Made eight appearances with Indy before being transferred to Altoona on 7/5...Made first four appearances with the Curve out of the bullpen before moving into the starting rotation on 7/27... Tossed a complete game (9.0ip/7h/1r/1bb/7so) in final start with Altoona on 8/24; the fifth of his career and first since 5/15/15 while pitching for Indianapolis...Rejoined Indianapolis on 8/28 and made two appearances (one start) to end the season. Spent majority of season with Triple-A Indianapolis, where he matched his minor league career high in wins and posted the second-lowest WHIP (1.19) in the International League...Was charged with two earned runs or less in 14 of his 21 Triple-A starts...Went 3-0 with a 1.67 ERA (27.0ip/5er) in his first four starts with Indy thru 4/22, pitching 7.0 innings in three straight assignments from 4/9-22...Tossed 7.0 scoreless innings in his victory on 4/22 at Toledo...Was recalled by Pittsburgh on 4/27...Made Major League debut on 5/2 vs. Toronto and pitched 2.0 scoreless innings...Also tossed 2.0 shutout frames in his second big league game on 5/4 vs. Toronto...Was optioned back to Indianapolis on 5/5...Suffered first Triple-A loss on 5/9 vs. Norfolk (4.2ip/4er)...Gave up one hit and one unearned run in 6.0ip while winning a 3-1 decision vs. Pawtucket on 5/14...Tossed a 7.0-inning complete game in the second game of a doubleheader on 5/19 at Gwinnett...Was tied for second in the International League in wins (six) and ranked eighth in ERA (2.66) when he was recalled a second time by Pittsburgh on 6/1...Extended scoreless innings streak with Pirates to 5.0 innings before giving up two runs in the ninth inning vs. Milwaukee on 6/6...Gave up four runs in Major League career-high 2.2 innings on 6/10 vs. Chicago and sufferd first big league loss...Was optioned back to Indy on 6/12...Won five straight Triple-A decisions from 5/14 thru 6/27...Pitched 7.0 scoreless innings while winning his fifth straight decision on 6/27 at Durham...Went 2-0 with a 0.50 ERA (18.0ip/1er) in three starts with Indianapolis during the month of June...Struck out season-high eight batters on 7/20 at Columbus...Pitched a season-low 1.0 inning in his start on 8/7 vs. Rochester...Was recalled by Pittsburgh on 8/11 and gave up three hits and two runs in 0.2ip vs. Detroit that night...Was optioned back to Triple-A on 8/12 and went 2-0 with a 2.89 ERA (18.2ip/6er) in his final three starts with Indy...Was recalled by Pittsburgh on 9/2 and made lone appearance during the final month on 9/25 at Atlanta (1.0ip/1er)...Struck out at least one batter in all six of his Major League appearances. Spent majority of the season with Double-A Altoona, where he was named the club's Pitcher-of-the-Year...Was selected to the mid-season Eastern League All-Star team...Established minor league career highs in wins, starts and innings pitched (136.1)...Was victorious in his first Double-A start on 4/5 at Erie (5.0ip/1er)...Won his second start in the Altoona Home Opener on 4/11 (6.0ip/3er)...Suffered first loss on 4/26 vs. Erie...Set a career high for innings pitched (8.0) and allowed just one unearned run on 5/6 at Harrisburg; also knocked in two of the three runs in the 3-1 win...Gave up a five runs on 5/11 vs. Richmond and suffered his third loss of the season while being credited with a 7.0-inning complete game...Bounced back with 7.0 scoreless innings in his next start on 5/17 at Richmond...Notched his seventh win of the season on 6/14 vs. Trenton...Allowed three runs in 2.0ip on 6/25 vs. New Britain in a shortened start as the game was put into a rain delay...Was named to his first professional All-Star team on 6/26...Was hit in the side of his right knee by a comebacker off the bat of Jose Ramirez (first batter of the game) on 6/30 at Akron; placed on the disabled list the next day with a deep bone bruise...Was reinstated from the D.L. on 7/28 and won his start that day at New Hampshire (5.0ip/2er)...Tossed 6.0 scoreless frames on 8/2 vs. Akron...Won each of his first three starts after coming off the disabled list before giving up eight hits and five runs in 4.0 innings in a loss on 8/13 vs. 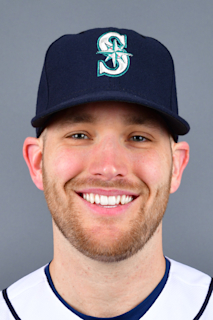 Portland...Walked a career-high six batters in 7.0 innings while suffering final loss on 8/18 at Erie...Won his last start with Altoona on 8/24 at Richmond (game two)...Was promoted to Triple-A Indianapolis and made lone start with the Indians on 8/30 vs. Louisville. Spente entire season with High-A Bradenton...Ranked 10th in the Florida State League in ERA...Tied for the league lead with a 1.000 fielding percentage among pitchers along with teammate Jameson Taillon...Began season in the bullpen and made four scoreless appearances (8.0ip) to start the campaign...Gave up four runs in 2.0ip and suffered loss on 4/24 vs. Jupiter...Picked up his two saves in back-to-back outings on 5/7 at Tampa (3.0ip/1er) and 5/12 vs. St. Lucie (3.0ip/0r)...Made first start on 5/18 vs. Dunedin and received a no-decision (4.0ip/2r/1er)...Suffered losses in back-to-back outings on 6/2 (game two) and 6/8...Pitched 3.1 scoreless frames while making his final relief appearance on 6/13 at Fort Myers...Tossed 6.0 scoreless innings in his start on 6/20 and another 3.0 frames of one-hit ball on 6/25 (game two)...Pitched 18.1 consecutive scoreless innings from 6/8-29...Picked up his first win after tossing 7.0 shutout innings on 7/4 at Palm Beach...Struck out season-high 10 batters in a season-high 7.1 innings of a no-decision on 7/15 at Clearwater...Finished the season making 15 consecutive starts...Went 4-4 with a 3.93 ERA (91.2ip/40er) in 17 starts and 0-2 with a 3.26 ERA (38.2ip/14er) in 15 relief appearances. Spent entire season pitching exclusively in relief for Low-A West Virginia...Pitched at least 2.0 innings in 25 of his 35 games...Finished second among South Atlantic League relief pitchers in batting average against (.213) and fourth in fewest baserunners per 9.0 innings (10.13)...Picked up first professional save in second game on 4/18 at Augusta...Pitched 3.0 scoreless innings while recording first win on 5/2 vs. Greensboro...Suffered losses in back-to-back outings on 5/27 and 5/29...Produced a 1.54 ERA (46.2ip/8er) in his final 23 appearances, beginning on 6/3...Pitched 17.2 consecutive scoreless innings over a nine-game stretch from 7/20 to 8/20...Was scored upon just twice in his final 14 appearances (27.0ip/3er - 1.00 ERA), pitching at least 2.0 innings in 12 of the 14 games. Spent first professional season with State College after being selected by the Pirates in the 25th round of the First-Year Player Draft in June...Tossed 2.0 scoreless innings and picked up a win in his first appearance on 7/3 at Williamsport...Made lone start on 7/25 at Mahoning Valley (3.0ip/4h/0r/0bb/1so)...Gave up lone home run in 10th outing on 8/18 vs. Jamestown. April 20, 2019 Tampa Bay Rays optioned RHP Casey Sadler to Durham Bulls. April 19, 2019 Tampa Bay Rays selected the contract of RHP Casey Sadler from Durham Bulls. April 1, 2019 RHP Casey Sadler assigned to Durham Bulls. January 28, 2019 Tampa Bay Rays signed free agent RHP Casey Sadler to a minor league contract and invited him to spring training. December 20, 2018 Tigres del Licey placed RHP Casey Sadler on the reserve list. December 4, 2018 RHP Casey Sadler assigned to Tigres del Licey. October 2, 2018 RHP Casey Sadler elected free agency. September 1, 2018 Indianapolis Indians activated RHP Casey Sadler from the 7-day disabled list. August 23, 2018 Indianapolis Indians placed RHP Casey Sadler on the 7-day disabled list. Right forearm strain. August 21, 2018 Pittsburgh Pirates sent RHP Casey Sadler outright to Indianapolis Indians. August 16, 2018 Pittsburgh Pirates designated RHP Casey Sadler for assignment. August 11, 2018 Pittsburgh Pirates optioned RHP Casey Sadler to Indianapolis Indians. August 5, 2018 Pittsburgh Pirates recalled Casey Sadler from Indianapolis Indians. July 25, 2018 Pittsburgh Pirates optioned RHP Casey Sadler to Indianapolis Indians. July 23, 2018 Pittsburgh Pirates selected the contract of Casey Sadler from Indianapolis Indians. January 22, 2018 Pittsburgh Pirates invited non-roster RHP Casey Sadler to spring training. August 28, 2017 RHP Casey Sadler assigned to Indianapolis Indians from Altoona Curve. July 5, 2017 RHP Casey Sadler assigned to Altoona Curve from Indianapolis Indians. June 5, 2017 RHP Casey Sadler assigned to Indianapolis Indians from Bradenton Marauders. May 15, 2017 RHP Casey Sadler assigned to Bradenton Marauders. January 9, 2017 Pittsburgh Pirates invited non-roster RHP Casey Sadler to spring training. September 23, 2016 Indianapolis Indians activated RHP Casey Sadler from the 7-day disabled list. April 6, 2016 Indianapolis Indians placed RHP Casey Sadler on the 7-day disabled list. February 21, 2016 RHP Casey Sadler assigned to Indianapolis Indians. January 6, 2016 Pittsburgh Pirates signed free agent RHP Casey Sadler to a minor league contract. December 30, 2015 Indianapolis Indians released RHP Casey Sadler. November 6, 2015 Pittsburgh Pirates sent RHP Casey Sadler outright to Indianapolis Indians. September 1, 2015 Pittsburgh Pirates recalled RHP Casey Sadler from Indianapolis Indians. April 13, 2015 Pittsburgh Pirates optioned RHP Casey Sadler to Indianapolis Indians. April 11, 2015 Pittsburgh Pirates recalled Casey Sadler from Indianapolis Indians. March 19, 2015 Pittsburgh Pirates optioned RHP Casey Sadler to Indianapolis Indians. October 2, 2014 Pittsburgh Pirates activated RHP Casey Sadler. October 1, 2014 Pittsburgh Pirates reassigned RHP Casey Sadler to the minor leagues. September 2, 2014 Pittsburgh Pirates recalled RHP Casey Sadler from Indianapolis Indians. August 12, 2014 Pittsburgh Pirates optioned RHP Casey Sadler to Indianapolis Indians. August 11, 2014 Pittsburgh Pirates recalled Casey Sadler from Indianapolis Indians. June 12, 2014 Pittsburgh Pirates optioned RHP Casey Sadler to Indianapolis Indians. June 1, 2014 Pittsburgh Pirates recalled Casey Sadler from Indianapolis Indians. May 5, 2014 Pittsburgh Pirates optioned RHP Casey Sadler to Indianapolis Indians. April 27, 2014 Pittsburgh Pirates recalled Casey Sadler from Indianapolis Indians. March 10, 2014 Pittsburgh Pirates optioned RHP Casey Sadler to Indianapolis Indians. November 20, 2013 Pittsburgh Pirates selected the contract of Casey Sadler from Indianapolis Indians. August 30, 2013 Casey Sadler assigned to Indianapolis Indians from Altoona Curve. July 28, 2013 Casey Sadler roster status changed by Altoona Curve. July 1, 2013 Altoona Curve placed RHP Casey Sadler on the 7-day disabled list. Right knee contusion. March 29, 2013 RHP Casey Sadler assigned to Altoona Curve from Bradenton Marauders. April 3, 2012 Casey Sadler assigned to Bradenton Marauders from West Virginia Power. April 15, 2011 Casey Sadler assigned to West Virginia Power from GCL Pirates. August 30, 2010 Casey Sadler assigned to GCL Pirates from State College Spikes. June 29, 2010 Casey Sadler assigned to State College Spikes from Pittsburgh Pirates. June 28, 2010 Pittsburgh Pirates signed RHP Casey Sadler.